You can do so much with fresh zucchini - even make a delicious dessert like this chocolate cake . . . Seriously? Yes! This is a zucchini cake. But it is not just any zucchini cake. 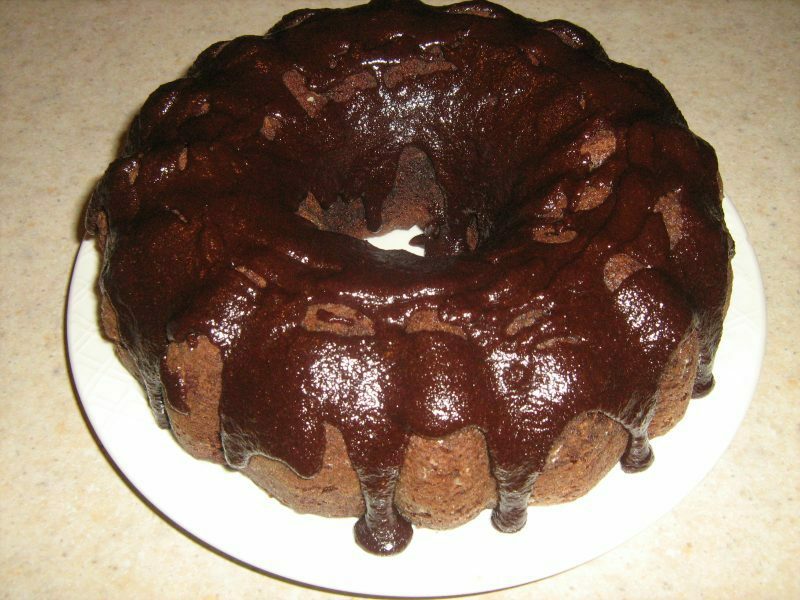 It is a chocolate zucchini cake with a mocha fudge glaze! This delicious cake is almost as much fun to make as it is to eat...almost. 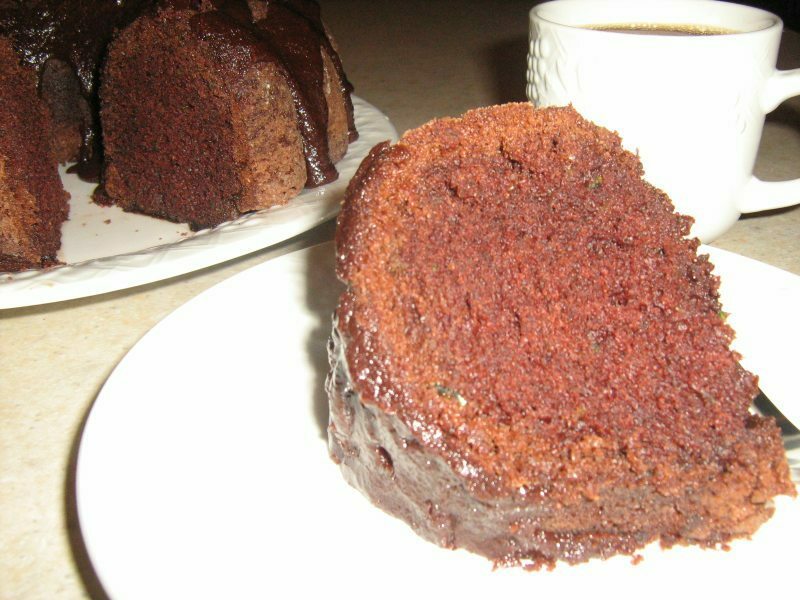 A little heaven on earth...this chocolate zucchini cake would be terrific by itself. It's moist and light and delicious. But...add a mocha-fudge topping and you will be hoping it lasts forever. Well, the good news is that now that you have the recipe you can always make it again! I know...we think of everything here at All-Veg. You're welcome! pan (we used a bundt pan). cake begins to pull away from the side of the pan. Use the "clean toothpick" test as well. vanilla. Thoroughly combine all ingredients. stantly until the mixture is smooth and glossy. allowing it to cool for at least 10 or 15 minutes. Pour the coffee, slice the cake, relax and enjoy!